The fixed amount paid to all the employees is known as allowance. Allowance is paid in addition to the basic salary to cover up expenses like travelling to the workplace, renting a house, or eating food. These allowances are generally included in CTC of the employees. Basic Salary or Basic Pay is the most important part of the salary structure and other salary components such as HRA, Provident Fund, Gratuity, ESIC, etc. are calculated as a % of the basic pay. Basic pay is the fixed amount that is earned by the employees before receiving any other payment such as allowance, or any other deduction such as income tax. The basic salary of an employee doesn’t change irrespective of the fact that he achieves, or misses, the target for the sales commission. The amount of basic pay is fully taxable. The extra money given to employees over and above their salary is known as bonus. It depends on the profitability of an organization and is given to the employees on the basis of their performance or company’s performance. It may also be given at festive occasions. Bonus doesn’t form a part of CTC but some companies do include it under CTC. Casual leaves can be availed during some unavoidable situations or other personal reasons. Employees need a prior approval for casual leaves from their manager except in cases when it is not possible to do so. Generally, employees are not allowed to take more than 3 casual leaves in a month. Casual leaves can’t be carried forward, or encashed and automatically lapse at the end of the leave year. Compensatory Off is also known as Compensatory Leave or Comp Off. It is the leave or time off given to employees for working extra hours. For example, if an employee works on a holiday or a weekend, the company compensates for that particular day he worked by giving a leave to the employee on any other working day. Conveyance Allowance also known as Transport Allowance is offered by employers to the employees to compensate the cost of travelling from their residence to office and vice versa. The Conveyance Allowance of up to Rs. 1600 per month is completely tax-free, and any amount over this prescribed limit is taxable. Conveyance Allowance is generally given to those employees who are not provided with any transportation facility. Cost to Company or the CTC is the total cost of monetary & non-monetary benefits that an employer or an organization incurs on an employee during a year. The CTC includes various salary components like basic, HRA, PF, allowance, etc. The CTC after is calculated after taking into consideration all the costs that the company bears on behalf of an employee despite the fact employee doesn’t receive that money. Dearness Allowance or DA is paid to government employees and pensioners in India and is a cost of living adjustment allowance that helps counter the impact of inflation. In India, private companies don’t pay DA and if it wants to pay DA, then the same is calculated as per the rules laid down the company. It is calculated as a fixed % of basic salary. DA varies from employee to employee based on their location. Dearness allowance is fully taxable for salaried employees. Full and Final Settlement is the process of calculation and payment of the final amount to an employee on his/her exit from the company, the reason being resignation or termination. When an employee leaves the company, the company might need to pay money to the employee for various things such as last month’s salary, leave encashment, gratuity, or sales commission. The settlement is made for the same. Similarly, the company might also need to recover various assets and payments due from the employee. Additionally, the company might need to recover assets such as laptops, mobile phone, etc. that were given to the employee to help him perform his duties. The Full & Final Settlement involves the calculation of all such payments and recoveries, conducting exit interviews, paying the final amount to employees, and giving them the relieving letter or the experience letter. The total salary that a company actually pays to an employee before taking into account any deduction is known as Gross Salary. In other words, it is the total of all earnings, benefits, and allowances, before any deductions for the government taxes like Income Tax and Profession Tax, Social Security Schemes like Provident Fund, and Health Insurance. The gross salary is always less than the CTC and more than the salary that an employee takes home. House Rent Allowance (HRA) is the amount paid by an employer to an employee for renting his/her home, as part of the salary. Salaried employees who are living in rented accommodations need not pay tax on the partial/complete amount in HRA (based on eligibility) and thus, HRA helps employees in reducing their tax liability. Incentive Pay is the extra payment given to employees when they achieve the set goals or targets and is directly linked to an employee’s individual performance on the job. For instance, a company might set a sales target of Rs. 20 lakhs per month to an employee in the sales team and might agree to pay an incentive of Rs. 1 lakh on every 20 lakh of sales. In this case when an employee makes a sale worth Rs. 40 lakhs in the given time frame, he gets an incentive of Rs. 2 lakhs. Incentives can be paid by the way of cash or any other monetary award. Leave Encashment means receiving cash from the employer for the leaves that have not been availed. For instance, if an employee gets 15 earned leaves per year from the employer, but uses only 5 earned leaves in the year, the employee can get the money for remaining 10 leaves from the company. There are no fixed rules for leave encashment, but most of the companies encash leaves annually, or at the time of leaving the company. The leaves are encashed on the basis of basic salary and dearness allowance. Leave without Pay (LWOP) also known as Loss of Pay (LOP) or Unpaid Leave is when a company allows employees to go on leave but doesn’t pay them for those days. This is generally required by employees when they have utilized all other forms of leaves. If an employee needs to go to his hometown and utilizes all his paid leaves, the company might approve additional leaves without pay. Maternity Leave or Pregnancy Leave refers to the period of time when a mother takes some weeks off from work because she is about to have a baby, or has just had (or adopted) a baby. The women employees in India are eligible for paid maternity leave for 26 weeks. Medical allowance is a fixed allowance that is paid by an employer to an employee in form of monthly salary. Employees are not required to submit any proofs for getting the medical allowance. The amount of medical allowance is 100% taxable. Notice Period is the time period between the date of an employee’s resignation and his/her last working day in the company. If the employee is terminated by the company, it is the time period between the notice of termination by the company and the actual termination date (or last working day). Notice period helps both employees and companies in making backup plans and is generally given in writing through email or letter. The notice period varies from company to company and can be as long as 1 year for senior positions. Paid leaves are the type of leaves from work during which you receive your normal salary. The company might give 25 days of leaves from work in a year and these leaves can be utilized when you go on vacation or fall sick. These 25 days of leaves are ‘paid leaves’ as the employee receives a salary from the company for these 25 days even if he is on leave. Privilege leaves and sick leaves are examples of paid leaves. 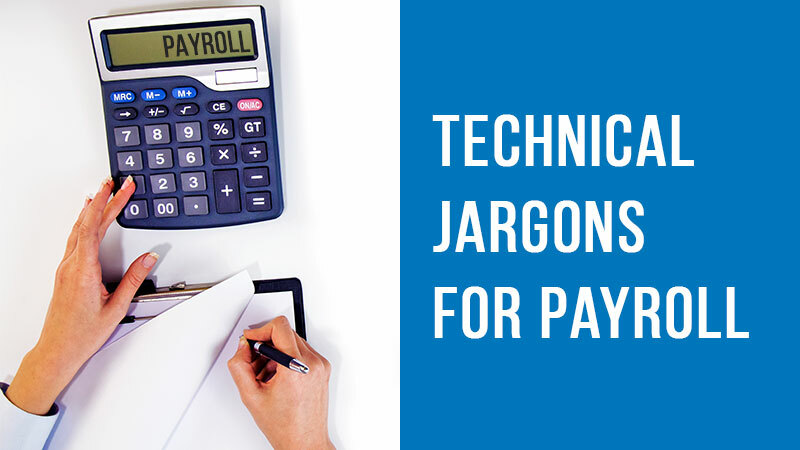 A Paycheck is also known by other names like Pay Slip, Paycheck Stub, Salary Slip, or Pay Stub. It is a document that an employee receives from his employer after getting the salary. It contains the details of the net salary paid to the employee, along with the detailed breakup of various salary components. The Paycheck generally has two columns. The first column includes details of the salary components like Basic pay, HRA, Allowances, Bonus, etc. and the second column includes the details of deductions like Income Tax, Insurance, etc. 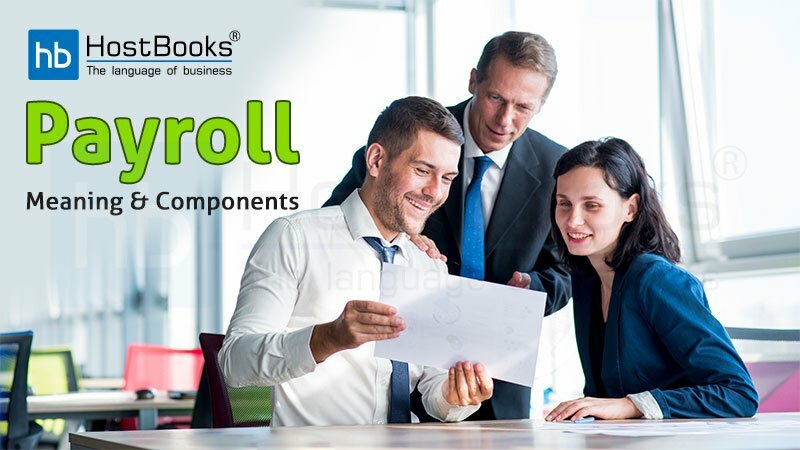 The amount that is deducted from an employee’s salary (or earnings) by the employer for things such as government taxes & employee benefits program is known as Payroll Deduction. Employees receive less money than their total salary in bank accounts because of various mandatory and voluntary deductions such as income tax, provident fund, profession tax, etc. These deductions are usually shown on the right-hand side of pay slip. Payroll earnings include the amount paid to employees by the way of various salary components such as basic pay, House Rent Allowance (HRA), sales incentives, etc. The sum of all earnings form the total salary of employees and after certain deductions from their earnings, the employees are paid the total salary. The earnings are usually shown on the left-hand side of pay slip. When a company hires a new employee, it generally uses a short duration known as probation period which can range from 1 month to 6 months. This period is meant to test whether the hired employee is a right fit for the company or not. If the employee meets company’s expectations during the probation period, the company gives a permanent job to the employee. Else, the company might terminate the employee. An employee on probation period might not get all the benefits that are given to the permanent employees of the company. Restricted Holiday or Optional Leave is the holiday which is optional for each individual employee and each employee can claim the same as per his requirements. For example, Eid or Ram Navami is a part of the list of restricted holidays in a company and people can take leaves accordingly. The company is not mandatorily closed on restricted holidays, but some or all employees can take leave on the restricted holiday. Sandwich Leave refers to the leave policy where even the days of public holidays and weekends are counted in the leaves of an employee. It is applicable if a public holiday or a weekend falls between the leaves or just immediately before, and after the leaves. For instance, if an employee takes leave on Friday and Monday, even Saturday and Sunday (which is a holiday anyway) will be considered as leave taken and therefore, instead of 2 leaves, total 4 leaves will be deducted from the employee’s leave balance. Similarly, if an employee applies for a leave on 26th and there are public holidays on 25th and 27th, then instead of 1 day, total 3 leaves will be counted. Sick Leave is also known as ‘Paid Sick Days’ or ‘Sick Pay’ or ‘Medical Leave’ and refers to the number of paid leaves that can be taken by employees when they fall sick. The number of sick varies from state to state as per the Factories Act or other applicable laws. Generally, the sick leaves can’t be encashed or carried forward to next year and lapse at the end of the year. Employees are required to submit medical certificates if they take sick leaves for more than 2-3 days as per the company policy. The final amount that is left after all applicable deductions by the way of income tax, provident fund, employee state insurance, professional tax, health insurance, etc., that are made from the gross salary by the employer or an organization. The take-home pay or salary is always less than the CTC and Gross salary and in some cases, it might even be as low as 30-50% of CTC.